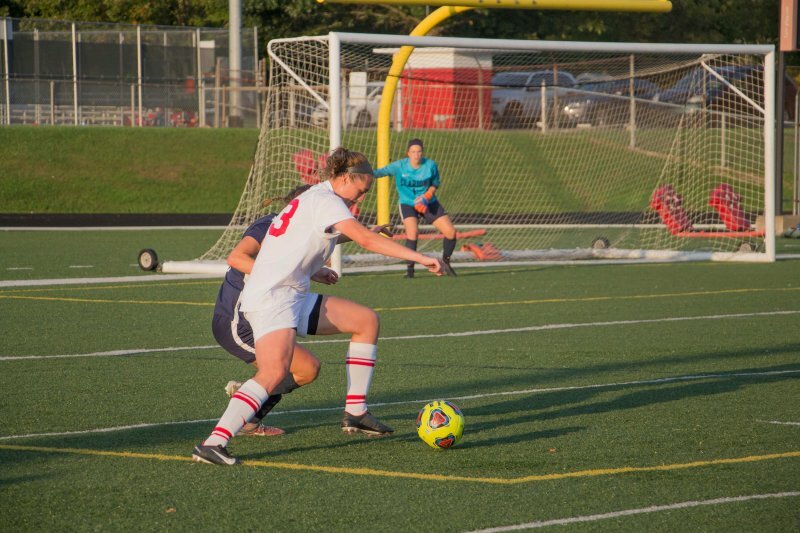 Edinboro women’s soccer broke their five-game losing streak, winning 3-0 at home against Clarion on Oct. 3. The Fighting Scots are now 3-8 overall and 2-8 in the PSAC. Edinboro struck early in the 5th minute with Rebecca Manns scoring from nine yards out. “I really honestly thought [with] the goal, I was going to mess up because I always try to turn on my left and I always get screamed at for turning on my left, so I was super lucky that it worked out on the cross. Danielle was like, ‘You got to learn when to one-time and when to take a touch.’ I don’t know if it worked out, the coaching helps and they’re great,” Manns said of her goal. Brittnie Spithaler struck next, 2 minutes later, when she took a shot from about 10 yards out of the box and beat the keeper. The half ended with Edinboro leading 2-0. Edinboro outshot Clarion, 13-4, in the first, and Clarion had five fouls while ‘Boro had three. Clarion started out physical and got more aggressive as the game went on. “Clarion was probably our most physical game yet, which was a challenge, but we worked through it and I thought it was a good challenge to take on,” Spithaler said. Edinboro continued to push for another goal in the second half. A Manns shot was denied by the keeper and landed at Sidney Dobbins’ feet. Dobbins easily put the ball into the net with the keeper struggling to get back to defend. “It was really exciting, shout out to Becca Manns. It was basically her goal, [and] I just tapped it in for her. I’m happy with it of course,” Dobbins said. Clarion continued to push forward while attempting to bounce back, which left the ‘Boro offense with less room to maneuver without being drawn offside. The Fighting Scots defense was able to keep Clarion off the scoreboard for the duration of the match. After over a week off, the Fighting Scots play again Friday when they face Indiana University at 2 p.m. at home.